Munich - Bayer 04 Leverkusen midfielder refused to be downhearted after his side's 1-0 defeat away to FC Bayern München on Saturday, but rued the missed chances that led to a third loss of the campaign. In an exclusive interview with bundesliga.com after the final whistle, the Australian international analysed his team's display at the Allianz Arena, spoke of his progress since returning from long-term injury and looked ahead to the Werkself's forthcoming fixtures. bundesliga.com: Robbie Kruse, how would you sum up the game today? Kruse: It's always difficult to play against one of the best teams in the world. In the first half especially we created two really good chances - one of which got cleared off the line. If you want to beat Bayern you've got to score them, so it's disappointing. We work a lot on set-pieces in training so to concede from a corner wasn't good. But we took them all the way to the end and it was a hard game for them. We knew we could come here and really cause them a lot of trouble. We thought we could win but unfortunately we didn't. bundesliga.com: What was your strategy to win? Kruse: We press a lot. Bayern like to keep the ball, be patient and wait until things open up. That's perfect for us because we love to press. We won the chance that got cleared off the line by pressing them high up the pitch. They made a mistake and it should have been 1-0 and then it would have been a totally different game. It's disappointing and I think we did a really good job, but we were just lacking that final bit today. bundesliga.com: Bayern started out by employing the unusual tactics of having Robert Lewandowski wide on the left and Thomas Müller wide on the right. How did Leverkusen react to that? 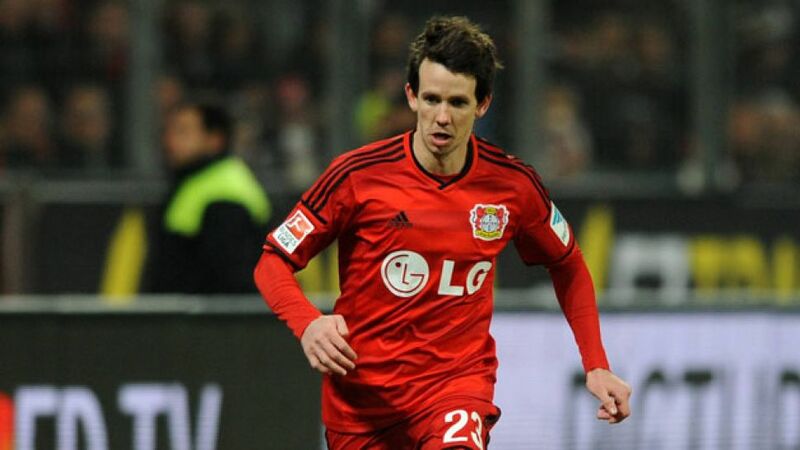 Kruse: I think they knew we like to press a lot and that our full-backs like to get forward. They tried to draw us out but I don't think it worked. They didn't do anything unexpected out there. They have a lot of individual quality - they're one of the best teams in the world - but we caused them a lot of problems. When you do so well in the first half you have to score, and we didn't do that so that's why they won. Now we're looking forward to playing Benfica on Tuesday. bundesliga.com: Leverkusen are currently top of UEFA Champions League Group C. What's your outlook going into the game? Kruse: We're going there to win. Zenit are playing against Monaco in the other match so regardless of what happens there we need to win to confirm our position at the top. You need to do that in the Champions League because coming second puts you up against a pretty strong team in the next round. We've put ourselves in a great position to do that and go through as group winners - we probably should have won the last game against Monaco, where we dominated, but ended up losing. We'll go to Benfica with the same game plan and hopefully get the points. bundesliga.com: You were out injured for a long time. How are you feeling physically and how long before you are back to your best? Kruse: I missed about eight months, so it was a long time. I've been back for three or four months now so I'm getting better every day and every week. Obviously it takes a lot of time to get back to the way you were before the injury, so I've got to be patient. That last two or three per cent to get back to where you were is difficult to achieve but it'll eventually come. I'm feeling good and fit so hopefully I'll keep getting chances to play. Kruse: Yeah, the games are coming quickly now so it'll be very tough against them. They won today so we've got more or less the same amount of points in the league. It'll be a big game. At home we're really confident we can put in a good performance.